No Doubt suing Activision was one of the feel-good stories of 2009. Mostly because it involved somebody suing Activision. Activision, however, are now counter-suing No Doubt. And things are probably going to get messy. 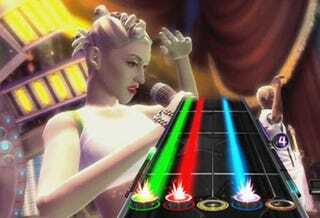 No Doubt's beef comes from the fact they claim they only signed on to appear in the game singing No Doubt songs. Activisions, meanwhile, are suing the band over allegations including "failing to do its due diligence on the videogame before signing away its digital likeness, breaching a contract to provide marketing and promotion to the game, and being unjustly enriched by their inclusion in the game." You have to wonder whether the money Activision stand to win from this - if they win - is worth all the bad press.